New Arsenal midfielder has spoken on what he thinks of German star player Mesut Ozil before joining the Emirates Stadium. Torreira joined Arsenal from Italian side Sampdoria in the summer transfer window and has since settled to become one of the best the club can boast of as well as becoming the fans’ most loved player at the Emirates. The Uruguay international said he has been able to settle quick and good at the Emirates Stadium as a result of the relationship he shared with his teammates especially French striker Alexandre Lacazette and German star Mesut Ozil. In his revelation about the team, he stated that he had viewed the former Real Madrid star Ozil as a special and top player and that to him is an achievement. He, therefore, thanked his teammates for helping him find good form, adding that Ozil and Lacazette always do well to dictate the tempo of the game which he easily fits into. 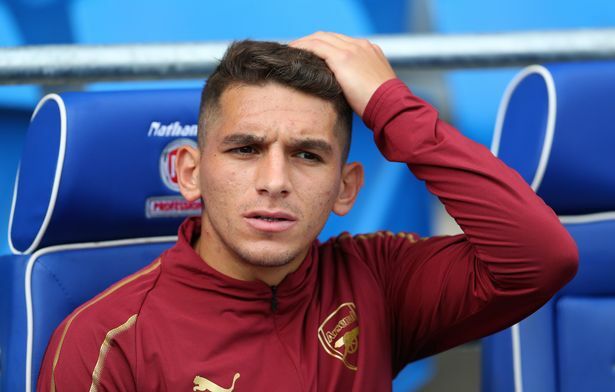 Meanwhile, Torreira is happy to have signed for a club as big as Arsenal at the age of 22 and he thinks that is will only go a long way in making him get better in his game. Arsenal will return from the international break to continue their unbeaten run as they seek to end the season within the first four teams so as to qualify for the Champions League.